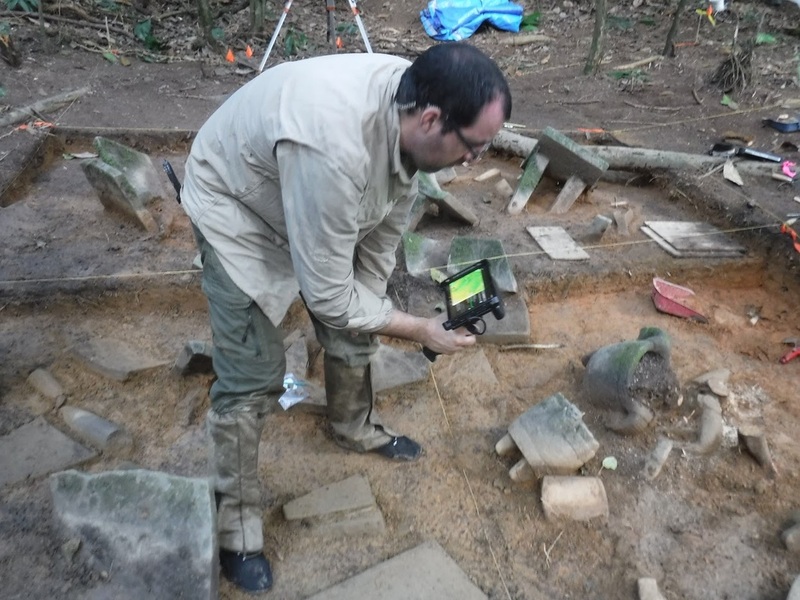 In 2012, extensive archaeological ruins were identified deep under the canopy of the Honduras Mosquitia through the use of airborne LiDAR survey, conducted by the National Center for Airborne Laser Mapping (NCALM) out of the University of Houston. 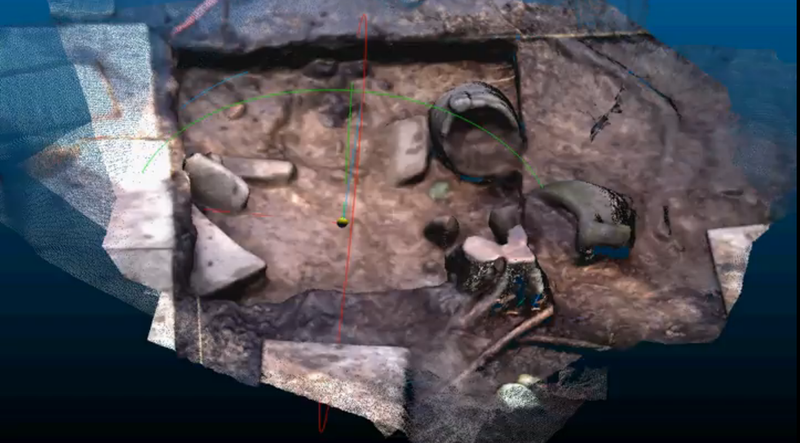 Today, these previously unregistered sites are being carefully excavated and documented in detailed 3D with the DotProduct DPI-8 handheld 3D scanner. In February 2015, the first ground expedition unveiled a cache of untouched artifacts and extensive evidence of not only ancient villages, but complex cities. The sites were documented with a terrestrial (tripod) laser scanner, under the guidance of Juan Carlos Fernandez-Diaz, PhD, resident LiDAR Engineer from NCALM. However, the results were lacking in resolution and detail. The ease of use and speed of the DPI-8 made it the ideal tool for documenting the dig. Juan found he was able to “map so much in so little time…nothing else can do this.” The archaeologists on the dig were very impressed with the technology, especially when they realized it could virtually replace the need for tedious tape measurements and sketch pads. With no electricity or internet on the dig site, the portability of the single-handed, tablet-based scanner proved incredibly valuable. Additionally, with time in the field very limited during each capture session, anywhere from 2 minutes to 2 hours, the capture speed of the DPI-8 was ideal. “Without the DPI-8 Kit, a few tape measurements would have to suffice for each 2x2 meter section. With the DPI-8, all it takes is a quick scan and then we can take as many measurements as we need after the fact." While the daylight limitations of the DPI-8 were mostly avoided by canopy cover, the team still found the scanner most effective during morning and evening hours, and planned accordingly. The resulting color point cloud scan data was incredibly comprehensive and accurate. The evidence of these jungle cities marks a significant find for the archaeological community and the people of Honduras. With much of the valley system still undocumented, the team is expected to return next year, DPI-8 Kit in hand. The mission of the National Center for Airborne Laser Mapping (NCALM) is to provide research-quality airborne light detection and ranging (lidar) observations to the scientific community, advance the state of the art in airborne laser mapping, and train and educate graduate students with knowledge of airborne laser mapping. NCALM is based at the University of Houston and is operated in partnership with the University of California, Berkeley.